An increasing number of companies are expanding their environmental impact reduction targets and strategies to include their supply chains or whole product life cycles. 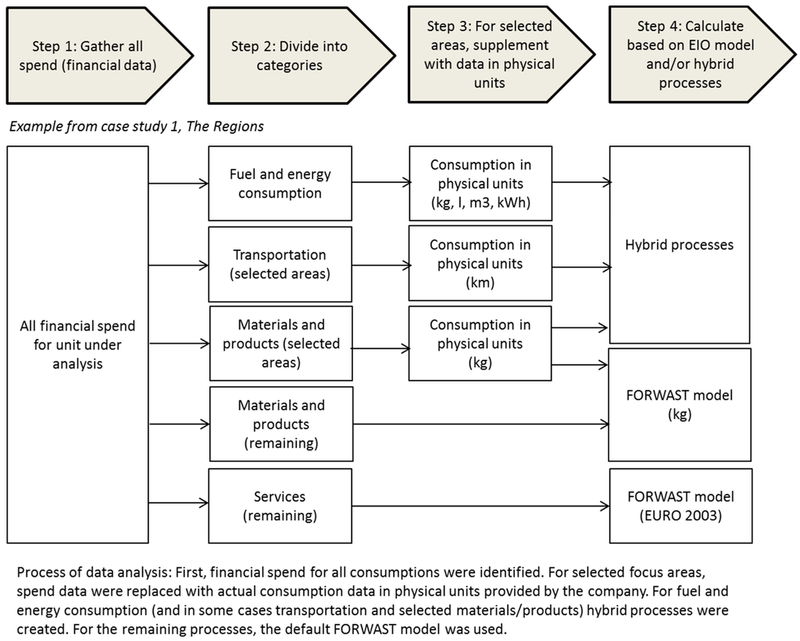 In this paper, we demonstrate and evaluate an approach, where we used a hybrid Environmental Input-Output (EIO) database as a basis for corporate and product environmental footprint accounts, including the entire supply chain. We present three cases, where this approach was applied. Case study 1 describes the creation of total corporate carbon footprint accounts for three Danish regional healthcare organisations. In case study 2, the approach was used as basis for an Environmental Profit and Loss account for the healthcare company, Novo Nordisk A/S. Case study 3 used the approach for life cycle assessment of a tanker ship. We conclude that EIO-based analyses offer a holistic view of environmental performance, provide a foundation for decision-making within reasonable time and cost, and for companies with a large upstream environmental footprint, the analysis supports advancing their sustainability agenda to include supply chain impacts. However, there are implications when going from screening to implementing the results, including how to measure and monitor the effect of the different actions. Thus, future research should include more detailed models to support decision-making. Nielsen A M, Weidema B P – 2001 Input/Output-analysis – Shortcut to life cycle data? Proceedings of a workshop held in Copenhagen on the 29th of September 2000. Copenhagen: Danish Environmental Protection Agency. (Environmental Project 581).